Well the opossums were on the prowl again last night, we have had a baby and an adult hanging around, they make so much noise some nights. We have another beautiful day, got to make the most of it as this is our last full day. Have had a few spots of rain, very overcast and humid, feels like another storm on the way. Just going to veggie out and spend some time getting photo’s of the baby Yellow face and mum feeding them, she has 3 babies. 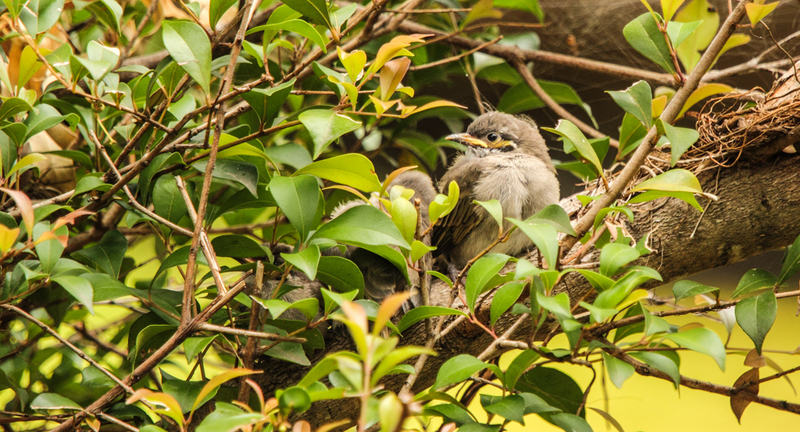 Only just discovered them last night, but have been watching the way the two adults were protecting this tree, now we know why. I sat motionless for nearly two hours to get these photo’s so as not to disturb mum with her feeding the babies, kept an eye on them over the rest of the day and with the goanna hanging around I was concerned, obviously so were the parents and she encouraged them to fly up into the tree beside her nesting tree, well one got off track and the parents were really going to town, then I realized one was on the ground beside our toilet tent, so Don picked it up and popped it into the tree and off it went up to its mum. 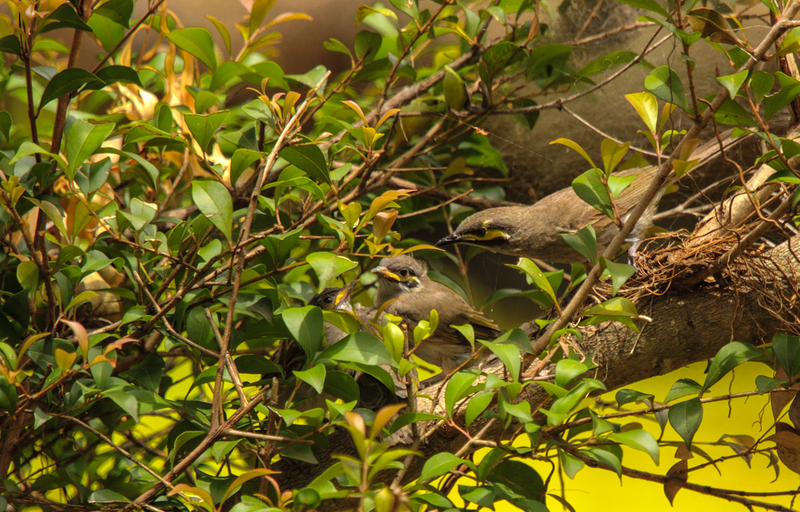 Here is a photo of their nest taken by Don, I was to short to reach. 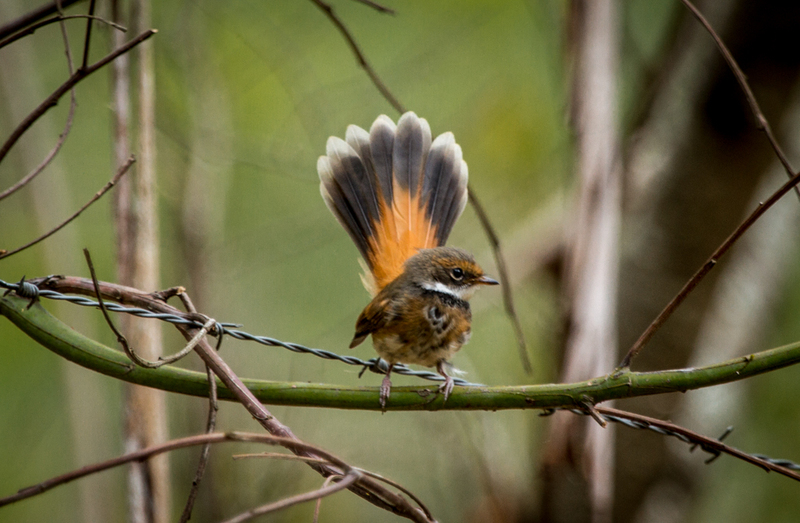 Went for a walk and Don saw a Rufus Fantail, what a beautiful bird, I did get some shots but not good, they are even quicker than the Grey Fantail. Here is a photo taken by Don, it is only a reference photo. 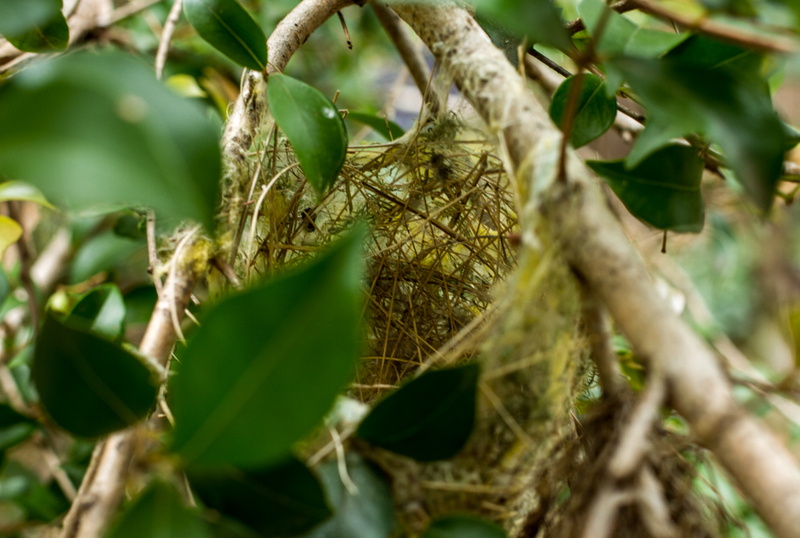 This entry was posted in 2014, Gordon Country-Xmas break and tagged babies, nature, nest, rain, rufus fantail, storm, yellowfaced honey eater. Bookmark the permalink.